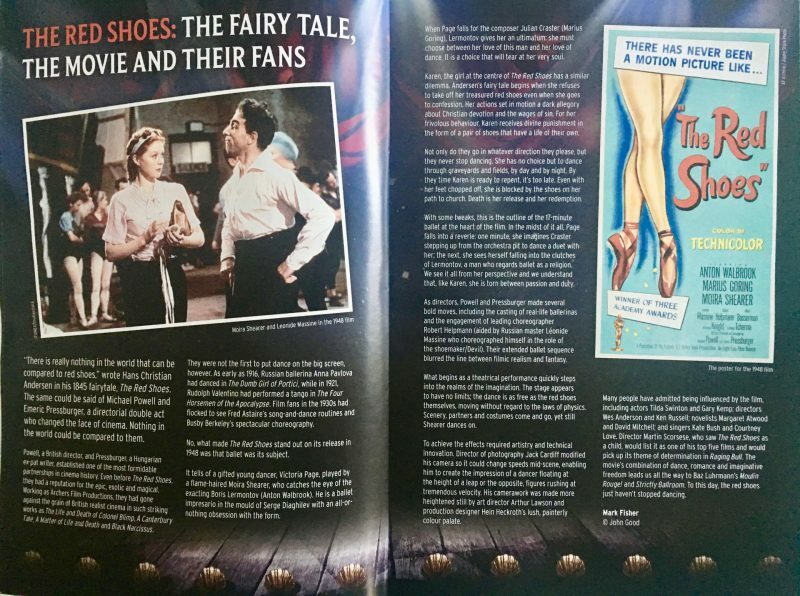 A couple of weeks ago I had the pleasure of being invited to see Matthew Bourne’s The Red Shoes – the iconic movie from 1948 staring Moria Shearer. The story dates back to the fairytale by Hans Christian Andersen from 1845, in which a pair of red shoes become enchanted and won’t stop dancing. Michael Powell and Emeric Pressburger adapted the fairytale to the big screen creating the story of Victoria Page – a girl who must decide between love and ambition. To this day, it is still recognised as one of the most iconic dance films of all time, and who better to take it from screen to stage than Sir Matthew Bourne. Delving into the ideas taken from both the classic fairy tale and the movie, Bourne’s choreography and creativity allows the audience to be swept away as it effortlessly transitions from each scene to portray the story. Clever choreography and storytelling were highlighted by Ashley Shaw (Victoria Page) who accentuated every movement to portray the battling of her emotions between the love of her life and passion for dance. Capturing the idea of the story was never going to be easy, as you need to see behind the scenes, as well as everything that happens on stage. Bourne uses the set to easily transport you from scene to scene by using an additional proscenium arch as part of the set. This hangs from wires so that it can easily twist in many directions and give you that idea seamlessly. By doing this, the audience can see either the front of stage, backstage (the wings and set), and a split screen so you can see both at the same time. Using this clever manoeuvre, the audience can relate to the original film and depict many of the original aspects but with an imaginative twist. A large part of creating the story on stage is through the music. Originally taken from the composer, Bernard Herrmann, along with Terry Davies (orchestral) and Paul Groothius (sound design), it creates an electrifying atmosphere full of dramatic tension and uplifting romanticism that keeps you on the edge of your seat and leaves you wanting more. Layering the orchestra with sound effects gives you a diverse effect where you are watching a live performance but feel like you are also watching a film. 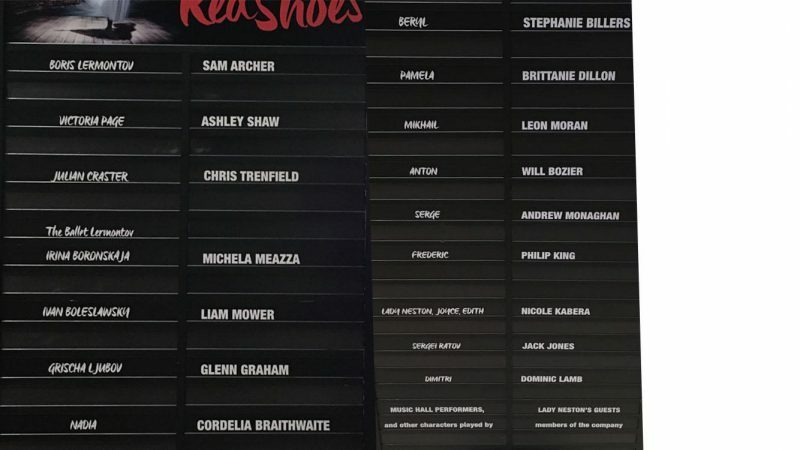 Other key performers include Page’s love interest and rising composer Julian Craster (Chris Trenfield), the dictatorial director Boris Lermontov (Sam Archer), and the shoe maker Grischa Ljumbov (Glenn Graham). – In the scene Monte Carlo, where giant beach balls and playful costumes parade across the stage, taking you on holiday with eccentric movements. -Lermontov’s solos, which create dramatic pace on the stage whilst manipulating the conductor’s baton. The duets between Victoria Page and Julian Craster, in which they draw the audience in with their emotive play on moves that take you from high to low along with the orchestra. -The shoemaker Grischa Ljubov who taunts Page with the red shoes. -The dramatic ending with Victoria Page – an ending you are expecting and yet can’t take it all in. To summarise, Matthew Bourne has mastered The Red Shoes. His recreation is what the performing world has asked for many years and shines a light onto the much loved story we have known for a long time. As his work and ideas continue to grow, we can only sit and wait to see what other classics will become ‘re-bourne’ with his exceptional choreography. 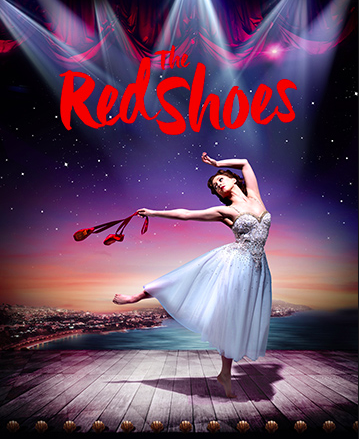 Want to learn more about The Red Shoes and Sir Matthew Bourne’s work? Click the link HERE to go to the New Adventures site which includes interviews, tour updates & photographs. Click the link HERE to learn about the risks of taking The Red Shoes to the stage for the second time in this interview of Sir Matthew Bourne’s interview with The Guardian. We hope you manage to find tickets to see the show. Follow NEW ADVENTURES on twitter for the latest updates. All thoughts and opinions are of our own and are a reflection upon the performance. 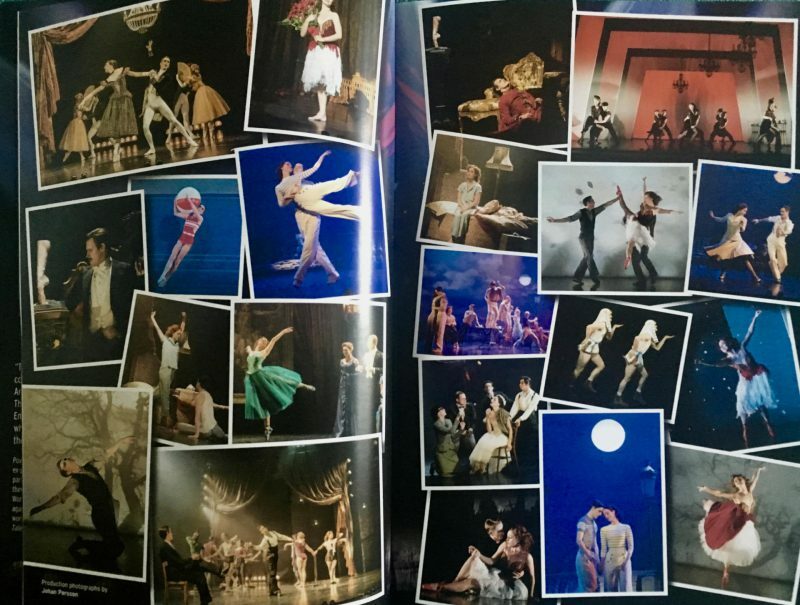 Photographs are taken from the New adventures website, The Red Shoes programme and some are of our own. Previous Post Have to? or Want to? We used a template from a company called Pipdig but other than that all designs are our own! Thanks for the lovely feedback.